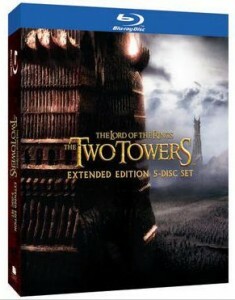 Warner Bros. has released the The Lord of the Rings Extended Editions on Blu-ray Disc & UltraViolet. Previously unavailable to purchase individually, the Extended Editions include five BDs loaded with extras, commentaries, production shorts, behind-the-scenes footage and, of course, Peter Jackson’s extended cuts of the films. Each Extended Edition on Blu-ray also includes an UltraViolet access code which must be redeemed by 3/13/2014. 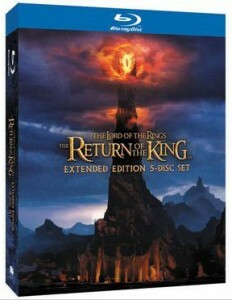 Total runtime of each edition rounds off to 208 minutes (Fellowship of the Ring), 223 minutes (The Two Towers), and 250 minutes (The Return of the King). Warner Bros. is selling each extended edition for $27.95, while Amazon currently has them priced at $23.86 each.